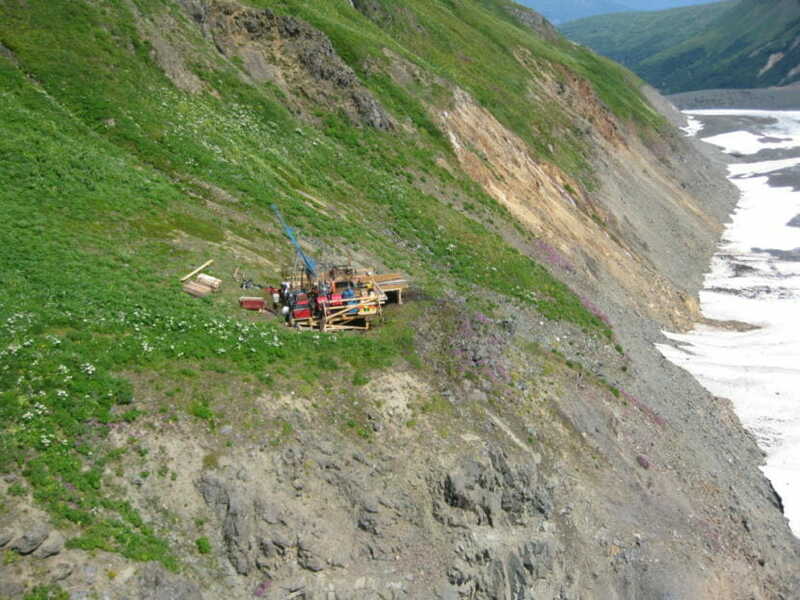 Constantine Metal Resources recently announced it is beginning a Preliminary Economic Assessment for a potential underground mine in the Chilkat Valley. The assessment will examine the viability of mineral resources at the Palmer Project, an exploratory site upstream from the Klehini River about 35 miles north of Haines. The Palmer Project has seen some opposition from residents in the Chilkat Valley. The Chilkat Indian Village of Klukwan and three conservation organizations filed a lawsuit against the Bureau of Land Management for approving an expanded exploration plan for the project in 2016. The complaint claims BLM failed to consider future impacts of mine development. So far, Constantine has been drilling holes at the Palmer Project to determine the kinds of minerals available and where they are located. Mostly they have found copper, zinc, gold and silver. Liz Cornejo is the Vice President of Community and External Affairs for Constantine Metal Resources. She said the Preliminary Economic Assessment, or PEA, will be the first analysis of the economic viability of the project. The assessment is part of a trio of studies to see if the mine is worth developing. The pre-feasibility and feasibility studies come later. These more comprehensive documents analyze the actual technical and economic feasibility while the PEA looks at the potential of the site. “From the results of the PEA it will help determine the future plans for the project as far as where we’re going to be putting our energy for engineering work or environmental work or exploration work or economic work to help advance the project,” Cornejo said. The assessment will be completed by two third-party mining firms. Constantine has contracted JDS Energy and Mining and Klohn Crippen Berger to carry out the analysis. JDS is an engineering, project and construction management firm that has worked with mining projects all over the world. Klohn Crippen Berger, or KCB, has been involved in the waste management of several mines including the Highland Valley Copper Mine in British Columbia, the Jackpine Mine in Ottawa and the Ok Tedi Mine in Papua New Guinea. KCB will complete the water and waste management design components of the assessment. When asked if KCB’s waste management designs for the assessment will be used if the mine moves forward, Cornejo said plans may change as more information becomes available. The PEA doesn’t have a defined timeline, but Cornejo said Constantine is hoping it will be completed this winter.